This is my first post for the very popular n successful event, SNC / South Vs North Challenge a brainchild of my sweet sis Divya. I know am too late to join her event but its better to late than never. So from this month am also one of the member of Southern Team. Thank u dear for accepting my request. If u wish to participate or to know more about the event plz click here. Nuts 1-2 tbsp chopped or as needed. Wash and soak Chana dal for 3-4 hours, then pressure cook it with 2 cups of water for 2-3 whistles. Now heat ghee in a kadai, add the chana paste and cook in medium heat, keep stirring and cook for 12-15 minutes or until the raw smell leaves. After that, add 1/2-3/4 cup milk and stir well and cook halwa in medium heat, once the milk get abosrbed by the dal, again add 1/2-3/4 cup milk, pinch of food color if u want, then keep stirring until it get absorbed and repeat the same untill all milk used and the halwa turns thick and start rolling. Now add sugar and and combine well and stir halwa for 5-7 minutes or until the sugar melts and raw smell leaves. Lastly add cardamom powder and nuts, stir well and switch off the stove. If u want to cut/slice into burfis, grease a plate with generous ghee and trasnfer the hot halwa to the plate and allow to cool down completely, then slice and enjoy. This is off to SNC Event n Priya's Cooking with Seeds - Dal event. I measured everything using 160 ml cup. I used low fat milk and also added a pinch of yellow food color, but its optional. Cook the entire process in medium heat flame, using non stick pan/kadai or heavy bottomed kadai prevent sticking/burnt in the bottom. Constant stirring is must, dont leavd the pan jnattended. Superb clicks sangeetha, enjoyed making this delicious treat!!! loved the last click.love u r photography style. Lovely presentation Sangee dear, samma cute ah erruku...I love the first click, very pretty and looks summery :) hope you enjoyed the halwa..
halwa looks awesome and your clicks too. They must be very delicious! I can't get enough of legume dishes. Very nicely done and lovely pictures and presentation! Urs looks too good. I am yet to do mine. U made it beautifully !!! Love ur clicks Sangee, glad and happy to see you in our SNC group. Soft and delicious halwa Sangee. Halwa looks awesome. Amazing presentation Sangee. Wow... Ths luks yumm.. Wanted to try moong dal halwa also... Cn I follow d same procedure? Yummy and tasty burfi. Beautiful presentation with awesome clicks. bful preperation.. nice clicks as always!! simply super sangee...love the last clicks!! 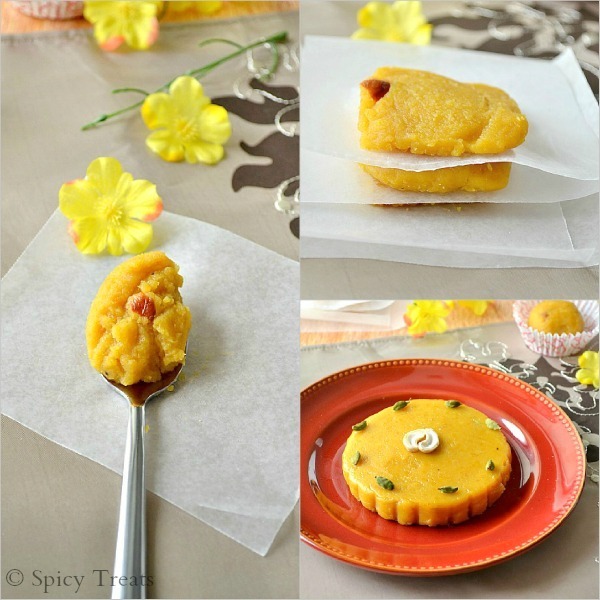 Nice clicks - i love this besan ka laddoo - we make with channa dal powder. Sanggetha I loved the last snapshot and the presentation. Looks very tempting. Superb presentation sangee :) Halwa looks amazing ! Am so glad that you joined SNC with us Sangee.. You have made the halwa perfectly... Love the clicks and beautiful presentation..
Lovely recipe.. you presented it so well.. Thanks a lot for your reply. Actually i' m new to blogging and honestly speaking not aware of much of its facilities. Any way thanks for the suggestion and i' ll surely check the follower widget . This chana dal halwa looks yummy. In fact all your recipe has some new twist. i loved it. keep going and all the best. tasty burfi and inviting clicks..
halwa looks very delicious and yummy. Beautiful clicks.